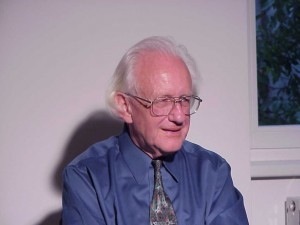 Johan Galtung, a professor of peace studies, is rector of the TRANSCEND Peace University-TPU. He is author of over 150 books on peace and related issues, including "50 Years-100 Peace and Conflict Perspectives". In this column, he writes that Julian Assange, Bradley Manning and Edward Snowden made history. ALFAZ, Spain, Aug 13 2013 (IPS) - THESIS ONE: The leaks are not about “whistle-blowing”, but about a nonviolent, civil disobedient fight against huge social evils. Whistle-blowing presupposes that somebody can be warned, in fact wants to be warned, and is in a position to do something. Obviously those who can do something about U.S. foreign policy, who have the power – legislative, the Congress, particularly the Senate; executive, State Department-Pentagon-White House; judiciary, the Supreme Court; economically, the giant banks; culturally, the mainstream media – know perfectly well what is going on: these are all efforts to hang on to imperial economic, military, political and cultural power. U.S. population, allied populations and most of the rest of the world – have been warned, but are to a large extent powerless. So they believe; but see thesis five. THESIS TWO: The basic thing is not the media-political focus on Julian Assange–Bradley Manning-Edward Snowden, but on what they revealed. Manning revealed the video of a helicopter attack in Iraq on mostly unarmed non-combatants, including two Reuters journalists. Result: the Iraqi parliament said No to the George W. Bush administration’s wish to keep a base in the country (the U.S. military withdrew Dec. 31, 2011). Manning revealed the full extent of the corruption of Tunisian dictator Ben Ali, adding fuel to the youth revolt. Manning revealed that Yemen dictator Ali Abdullah Saleh acquiesced to the U.S. drone attacks in Yemen, a factor in his removal from power. Manning revealed that then Secretary of State Hillary Clinton ordered United Nations diplomats to spy on their U.N. counterparts, wanting detailed intelligence on the U.N. leadership, with passwords and encryption keys. Manning revealed that John Kerry pressed Israel to be open to the return of the Golan Heights to Syria as part of peace negotiations. Manning revealed Afghan government corruption was “overwhelming”. Manning revealed the authoritarian, corrupt nature of Hosni Mubarak’s regime in Egypt. Manning revealed that U.S. Defence Secretary Robert Gates was against striking Iran’s nuclear facilities, arguing it would be counterproductive. Manning revealed the Israeli policy “to keep the Gazan economy functioning at the lowest level possible consistent with avoiding a humanitarian crisis”. Manning revealed that Syria’s Bashar Assad and wife bought jewelry and had a gilded style of life in Europe while his artillery killed in Homs. Take Snowden as another example: his revelations, the U.S. spying as much on their allies as on Afghanistan, threaten U.S. plans for the two big Trans-Atlantic and Trans-Pacific trade blocs to exclude BRICS (Brazil, Russia, India, China and South Africa). Should that happen, then this is world history indeed – with the U.S. now bidding for time. THESIS THREE: Diplomacy in general was revealed, not only U.S.
“The emperor unclothed. But not only the U.S. emperor, also the Diplomacy emperor. What kind of ridiculous discourse is this, so focused on the negative, on actors, usually elite persons, in elite countries? Gossip, puerile characterisations, the kind of “analysis” of power typical of immaturity. Where is the analysis of culture and structure, light years more important than actors who come and go? “Where are positive ideas? Where are ideas about how to convert the challenges from climate change into cooperation for mutual and equal benefit? Like water distillation projects at Israel’s borders with Lebanon and Palestine, fuelled by parabolic mirrors? Like positive U.S.-Iran cooperation on alternative energy? What Manning and Snowden revealed are the death throes of the U.S. empire; what Assange et al. revealed are the death throes of the state system as we know it. Both processes will take time, the former less than the latter. But make no mistake: the three made history. Three names that will be remembered after some U.S. presidents recede into an oblivion so well deserved. Who knows the top English in India, like viceroys and their crimes – roys of vices? Mahatma Gandhi looms larger. Who knows the names of the English who tried to keep the “Atlantic Seaboard” colonies? George Washington, Thomas Jefferson, Benjamin Franklin overshadow them all. THESIS FOUR: U.S. allies comply out of fear, not out of agreement. Quite concretely: they comply to avoid that one day the U.S. Air Force will land on the many bases at its disposal “as the government is unable to protect its own population”. The Americans are coming, not the Russians, not the Muslims. And the more likely it becomes, the further the U.S. slides down the well-greased totalitarianism incline: next step, probably FEMA (Federal Emergency Management Agency) camps for suspects -for categories, metadata! – like the Japanese during World War II. THESIS FIVE: Everybody, and the media, can speed up the processes. Rotten apples should fall from the tree; a little shake will help. The key star media, with Anglo-America’s The Guardian and The Washington Post playing major roles, deserve our praise. Then, let millions surround foreign ministries and embassies, demanding an end to spying, changing their servers away from the Big Traitors in the U.S., suspending further cooperation, degrading diplomatic relations. Till credible dis-spying – the equivalent of dis-armament – takes place.